Fostered with ample resources and a team of ingenious professionals, our firm caters to the varied demands of clients by offering Pole Adjustable Gear Motor. 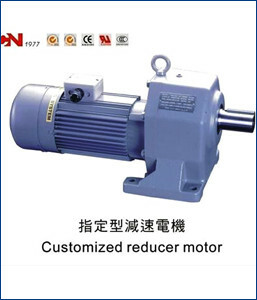 The offered motor is widely demanded in steel mills, automobiles, power plants, engineering, FMCG, and government institutions. Manufactured by our dexterous professionals using quality-approved brass and advanced methodology. Moreover, the provided rivet is also checked on set quality parameters to ensure its flawlessness.